© Don & Esther Phillips. All rights reserved. 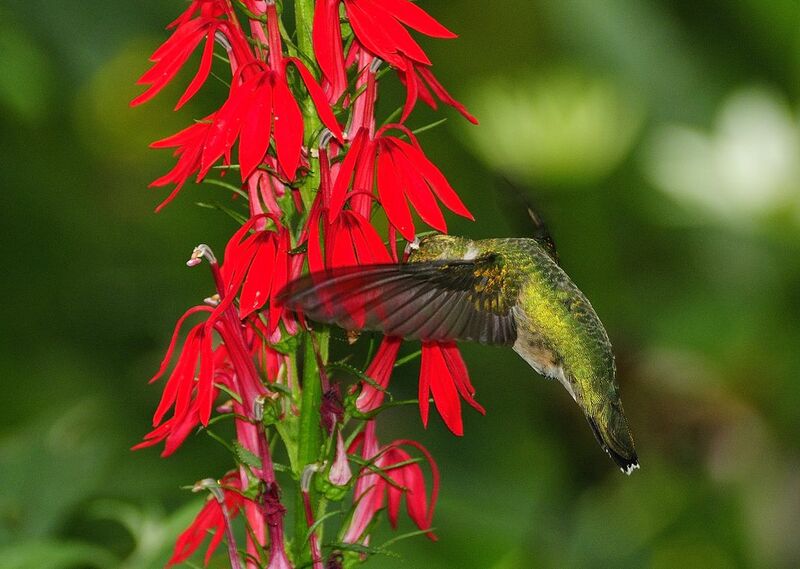 When our cardinal flowers come into bloom, they attract hummingbirds from everywhere which of course makes for great photography.It wasn't until this photograph was uploaded that I noticed the flowers showing through the bird's transparent wing. © Don & Esther Phillips.